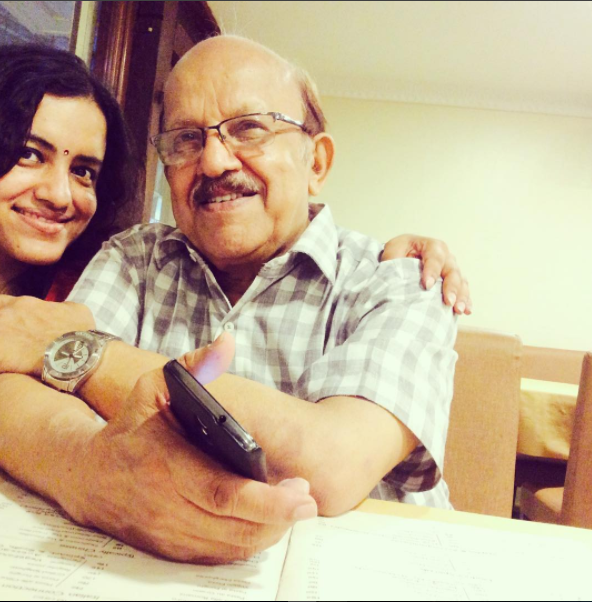 Just a week ago, Dad gave me a very emotional pep talk at the Bangalore airport. The good thing is that whenever I feel emotionally vulnerable or stressed out, I replay Dad's conversation. It lifts me up and instantly brings a huge smile to my face. That's my Dad - yeah! As a teenager, Bangalore used to be one of my favorite cities though the garden city was not as ''global'' and ''vibrant'' as it is today. It was a pretty cool place to go shopping for stylish accessories, not that I could splurge and go crazy with shopping but I could do so on a limited budget. So, I used to look forward to our summer trips to Bangalore, from where we would head out to Whitefield. The busy, broad streets, the scent of street food and the vibrant atmosphere had always perked me up every time I reached Bangalore. Be it heading to Puttaparthi or Whitefield, my parents and I have traveled to Bangalore so many times that it became a kind of ''routine''. 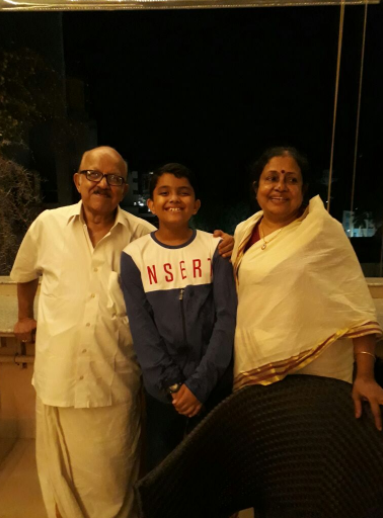 Before my son was born, I used to take the late midnight flights to Bangalore, reach the city by 2 am and then be swamped with hugs by my parents, who would be waiting eagerly for me. From there, we would catch the early train or bus to Puttaparthi. This time, it was a little different. I had reached Bangalore airport and my parents had reached from Kochi a few hours earlier. Our usual cab to Puttaparthi hit some unexpected glitches and we found ourselves stranded at the airport for almost two and a half hours. I had started from home to catch the flight at about 4 AM and had barely slept a few hours. Things started going badly wrong at every point and I simply lost my cool at the airport. As is the case when you lose your temper, I too began to lose my cool for every tiny thing at others - like the cab guys were quoting exorbitant rates because they knew we needed to go. Throughout the time, Dad was giving me helpful suggestions and making calls. Finally, everything fell into place in one smooth swoop and we were on our way to Puttaparthi. But just before we got into our cab, Dad looked into my eyes and held my hands tightly as he said, ''Molu, ever since you were a child, you were always the calm one. Nothing ruffled you at any point. You were so quiet and serene no matter what the situation was that it brought peace to everyone around, to all of us. I have never seen you lose your temper with anyone in all these years. Today, I saw that and it disturbs me, to see you become some one you are not, hurts me." "No situation is perfect in life and I know that you undergo stress because you are managing everything on your own. But that choice should not take you away from your true nature. When you forget your uniqueness, you lose the person you are. 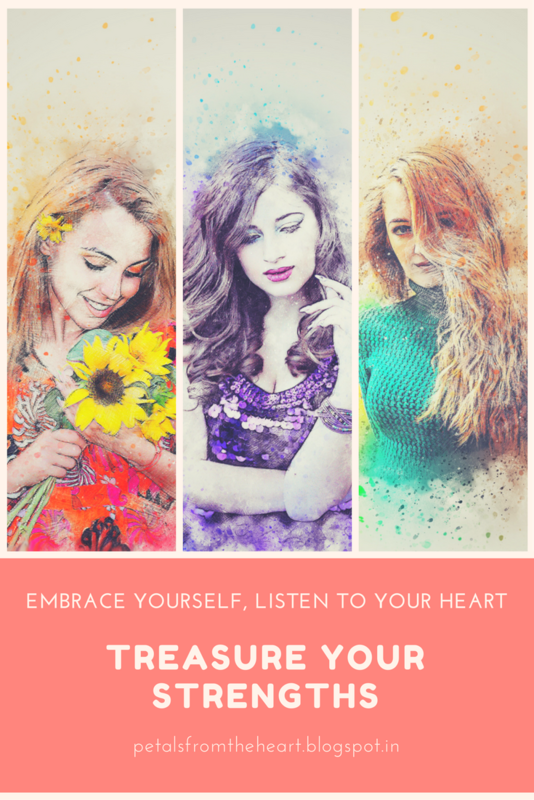 Treasure your strengths and don't let this world or any one or anything come in the way of your true nature," Dad continued. In typical Dad style, he hugged me and said, ''Be yourself. You are special in this world. Don't ever change the person you are, don't let stress or the world change you, Molu. " 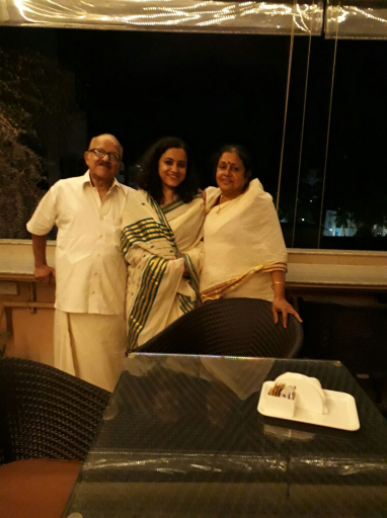 Later, as we chilled out at the Sai Towers rooftop restaurant on the night of Thiruvonam in Puttaparthi, I asked Dad, ''Why did you name me 'Swapna'? It is a very different name for some one who comes from a very traditional family." "There is a song that I loved about dreams - 'Swapnangal ningal swargakumarikalalo'. The poetry in this song equates dreams with heavenly beings without whom the earth loses its beauty and meaning for mortals. The song influenced me a lot as I was young when you were born. My dreams brought me happiness.The beautiful thing about a dream is that you can escape into the dream state and no one can pull you back or interrupt or take away the magic of the experience from you. When you start believing in the beauty of your dreams, it comes true. For me, when you were born, you were my dream come true. Next to dreams, my happiness was centred on music - it was my joy and when your sister was born, I named her Sangeetha,'' Dad said, as we sat watching the stars, the moon and feeling the breeze in the air. A spell of magic in a magical place, where there is no further journey to be undertaken, a place of completeness where the heart can reach a magical place where everything including the sand grains seems loveable. Dad has a way with words that brings tears to my eyes and a huge smile to my face. We decided to capture these magical moments with these clicks. Find your happiness in the spaces that you inhabit. 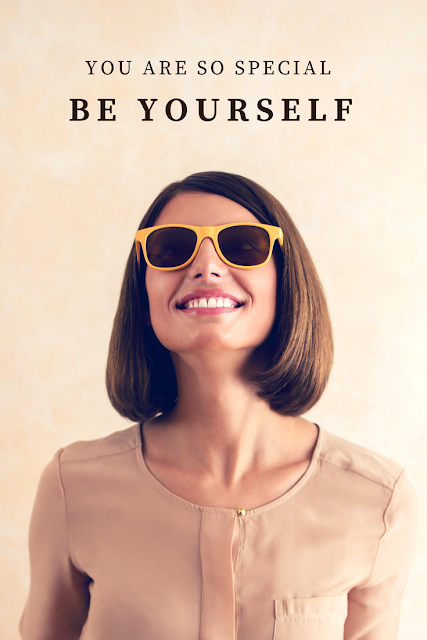 Remember - YOU are SPECIAL. You are NOT ALONE. We are together. Do stay connected with me on PINTEREST. This post is truly filled with fragrance . Thanks so much Hari uncle and Premila aunty for your loving thoughts and comments, especially as you have known Dad and Mom for so many years now. Sending joyous energy your way. On looking at the photographs of your parents, I get the impression that they are good and guileless people.